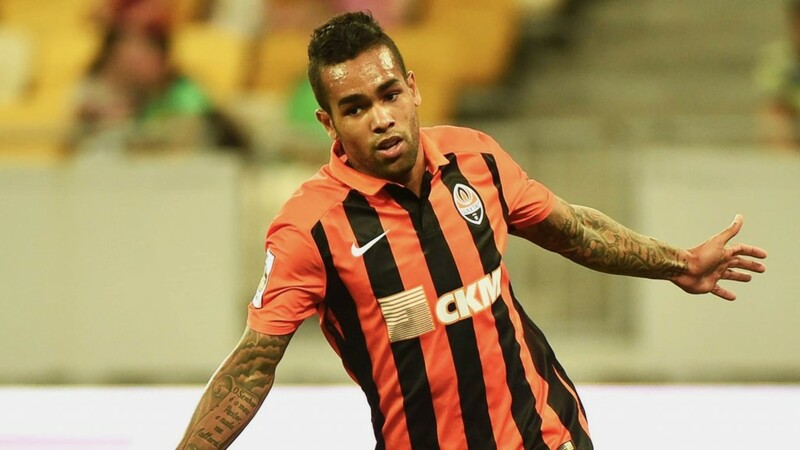 According to reports Ian Ayre is in Florida, at Shakhtar Donetsk’s winter training camp, trying to force a deal through for their 26-year-old attacking player Alex Teixeira. With the January window down to its final ten days and Liverpool showing no signs of adding any significant names to the squad for this season the story took fans somewhat by surprise. There is no doubt at all that Liverpool need more firepower with their only fit recognised frontman, Christian Benteke, looking nothing like the £32.5m striker Brendan Rodgers tried to make him last summer. Daniel Sturridge is best forgotten about – for the time being if not longer – given his continuing struggles with various injuries and apart from those two Jürgen Klopp wasn’t exactly handed a lot to work with from a goalscoring point of view. Danny Ings, who was signed after running down his Burnley contract, looked promising before suffering an injury that sees him out for the rest of the season. Mario Balotelli was loaned out for the season, Rickie Lambert and Fabio Borini were sold at the start of it. Klopp, despite his kind words about Christian Benteke, clearly doesn’t see him as the solution to Liverpool’s problem despite him being top scorer on seven goals and has tended to instead use £29m Roberto Firmino as a striker of sorts for many of the games. Firmino, however, has only scored three goals all season. Aside from their striker woes Liverpool have been hit by a long-term drought from players elsewhere on the field. Gone are the days, it seems, when the Liverpool midfield would chip in with a fair proportion of the Reds’ tally, something that stood out during that amazing spell in 2014 when Liverpool flirted with the title but relied a little too heavily on the goals of just two players, Sturridge and the about-to-be-sold Luis Suarez. By not replacing the one who left and not providing cover for the one who stayed but kept getting injuries it was little surprise Liverpool saw the goals dry up. Liverpool absolutely have to start finding goals from players other than whoever is up front. Adam Lallana is yet to score in his 18 league games so far this season, which is the same tally from the same number of appearances as Jordon Ibe, who at least has age on his side. Jordan Henderson has been injured but one goal in nine games is hardly helping the cause, whilst James Milner has managed two from 17 – and one of those was from the spot. Even Philippe Coutinho, now also on Liverpool’s long injury list, has only hit five from his 17 league games, a low total considering what he has shown he is capable of. Winger Lazar Marcovic, signed for £20m a year before, has spent this season out on loan, presumably having failed to show any signs of coming good as far as the previous manager was concerned. Without decent wingers putting in decent crosses it’s difficult to see Christian Benteke doing much of what he’s best at. So which gap will Alex Teixeira fill if the deal goes through – will he be used as a striker, a No.10, a wide player? He is described as an attacking midfielder who can play across the full width of the field and even as the main striker, although it’s as a No.10 or wide player he gets most of his games. We’ll have to wait and see how Klopp plans to use him – but first we have to wait and see if Ian Ayre can get this one across the line and his track record isn’t great with Ukrainian clubs. Two years ago the Reds CEO flew out to try and secure the services of winger Yevhen Konoplyanka from Dnipro Dnipropetrovsk but the deal fell through amidst claims from the Ukrainian club that Liverpool were unable to deliver the funds before the window closed. Brendan Rodgers denied those claims, defending his CEO and members of the transfer committee. “The only thing I will say is the football club done everything possible to get the player in,” Rodgers said at the time. “In every aspect. “Finance, we had the doctor out there, the chief scout, everyone. Whatever the problem was, it left Liverpool without a player that might just have given them that extra push towards an unexpected league title and with the deal falling through right at the end of the window it wasn’t possible to find an alternative. It also wasn’t the first time Ayre had come back empty handed from talks with a Ukrainian club. In summer 2013 the selling club was, as it is now, Shakhtar Donetsk and this time the target was Henrikh Mkhitaryan. Liverpool spent what seemed like an age trying to get the deal done, only for him to move to Germany instead, where he linked up with current LFC boss Klopp at Borussia Dortmund. To get this deal done now would be a massive boost to morale amongst fans who are confident their manager has what it takes to get Liverpool facing the right way and moving forward again but are concerned about the tools he is expected to do it with. With the closure of the window moving ever closer Liverpool’s business amounted to signing a Championship defender on an emergency loan, a young midfielder on a deal that sees him go straight back on loan to the selling club and a contract extension for a goalkeeper most fans lost faith with a long time ago. Chances are the goalkeeper has got his extension to protect his sell-on value should the Reds eventually sign the top-class commanding keeper any club with title ambitions need and the loan signing of Steven Caulker gives Liverpool cover at a time of injury crisis without the need to waste money on a player who might not quite be the right fit for the manager. Marko Grujic is one for the future, as his transfer fee suggests. The reports say Liverpool’s opening bid was for around €32m (£24.7m) with some reports suggesting that the deal would also include add-ons that would make it worth nearer £29m. This is similar to the reported terms of the deal done to bring Firmino to the club, the suggestion being he cost an initial £22m rising to £29m. Reports also suggest Donetsk value their asset, one they’ve had since he was 19, at far more than anything Liverpool are offering and, given they are owned by the richest man in Ukraine, oligarch Rinat Akhmetov, Ian Ayre might just have to rethink his strategy. Teixeira’s stats are pretty mouthwatering, he’s scored 67 times in 146 games for Shakhtar, including an astounding 26 goals from 25 games this season. If you think that sounds impressive, his league record for this campaign is 22 goals in just 15 games. Teixeira wouldn’t be able to join Liverpool’s assault on the Europa League if he signed – Shakhtar are didn’t qualify from their Champions League group and as a result have dropped into the Europa League making him ineligible to play for any other club in either of UEFA’s competitions. It doesn’t matter. With those goal stats, Liverpool could still make very good use of him in the other three competitions they are involved in and, assuming this is a player Klopp wants at the club, the club must to do all it can to ensure the deal goes through. There have been far too many failures in Liverpool’s transfer dealings in recent years. Valid concerns. Mikhitaryan, Willain, Konoplyanka and Salah have left lingering question marks about our ability to do business quickly. On top of that the Dele Alli and even Siggurosson deals both to Spurs have shown we are not necessarily the favored destination when the players are given the choice. So what if Spurs or Chelsea enter the race? Why can Chelsea wrap up deals seemingly over the phone when we seem to have it announced to the world that Ayre is flying off to do a deal. I dont know much about Teixeira but if he is one of Klopps top targets hopefully the club get it done. Otherwise more egg on our faces.